You'll know exactly what to do next, or your money back. In this one hour call, we'll make sure you’re on the right track before you invest too many resources or make that next hire. You can also get a teardown of your latest campaign, website or feature launch. We'll figure out exactly what your next move should be with a laser-focused strategy call. Marketing & Customer Experience Expert, Georgiana Laudi, has the ability, even given limited information, to pinpoint where you're likely going wrong, and more importantly, will provide ways to fix it. Talk to her about what you're working on, show her where you're stuck or pick her brain about an idea you have. You'll walk away with actionable takeaways that you can begin to implement immediately and with confidence. You'll know exactly what to do next, or your money back. You're a SaaS, Ecommerce or Marketplace business. 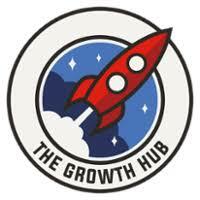 You're stuck on a marketing or overall customer experience issue in regards to a launch, growth or scaling. You appreciate objective, professional and actionable feedback. The 60-minute strategy call costs $395 USD. Find a time that works for you, answer a couple of quick background questions, and the details will be emailed to you including a 24-hr reminder. After the call, if you're not totally satisfied, you get your money back, hassle free. "If you're looking to build out a marketing framework or SaaS marketing team that will deliver results look no further." Gia is hands down one of the strongest SaaS marketers I know. When we were looking to map out a new customer journey she was the first person we turned to for feedback, guidance, and direction. Spending one hour together gave us over a dozen awesome ideas that we can't wait to put into practice. It's very rare that you find a marketer that understands the voice of the customer and how that will drive results across the funnel. I have no doubt that the recommendations Gia gave us will turn into remarkable results for our team and can't wait for another opportunity to work together. If you're looking to build out a marketing framework or SaaS marketing team that will deliver results look no further. I'd highly recommend Georgiana and always look forward to our conversations! "She was able to help me prioritize and navigate challenges, so they started to feel more like opportunities." I wasn't sure how much how much progress or impact there would be during an hour call with Georgiana. As an early stage startup, it's easy to lose sight of the value of marketing when you're wearing many hats. She was able to help me prioritize and navigate challenges, so they started to feel more like opportunities. It's reassuring to know Georgiana is available with her SaaS marketing expertise to be a resource while building and growing a SaaS company. "A huge help in identifying opportunities that I had overlooked." I scheduled a strategy session hoping to get clarity and direction on our rebrand process and rollout. Though it was a relief to know that generally I was on the right path, the call was a huge help in identifying opportunities that I had overlooked. Thanks for your help, Georgiana. I was a was a bit intimidated coming into the call but I quickly felt like you understood my situation and were all hands on deck to help. I genuinely could not have asked for a better experience. "After my 1-hour call with Georgiana, I walked away with more concrete ideas and clarity on what I need to prioritize than any 3-day conference I could have attended."